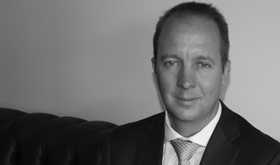 Lawrence Schäfer read law at Rhodes University, the University of Oxford (as a Commonwealth Scholar) and The Hague Academy of International Law. He completed pupilage in 1998 and joined the Johannesburg Bar in 2013. He is a Fellow of the Chartered Institute of Arbitrators and a Member of the General and Commercial Panel of the Arbitration Foundation of Southern Africa (AFSA). Before being called to the Bar, Schäfer held academic posts at two British Universities and taught at two colleges of the University of Oxford. He has presented guest lectures at the School of Oriental and African Studies (London), at universities in Turkey, Russia and Bulgaria, and at the Judicial Institute of Jordan and the Istanbul and Beirut Bar Associations. Since 2011, he has held three consultancies in support of constitutional development and contract law revival projects in South Sudan: two from the National Democratic Institute (Washington D.C.) and one from the International Development Law Organisation (Rome). Schäfer is the author of two books on South African family law and the first text on the law of contract in South Sudan.